Finn and Vander are replacing Profit and Wadid on the starting lineup. Polish team Rogue revealed a number of roster changes today, acknowledging their poor results in the League of Legends European Championship. The team’s rosters for LEC and ERL (Polish league) will now be decided weekly. Starting this Friday, top laner Finn Wiestål and support Oskar “Vander” Bogdan will be replacing Kim “Profit” Jun-hyung and Kim “Wadid” Bae-in. Wadid and Vander will share scrim time in the support role, Rogue said. Although Vander will likely take the starting spot each week, this could change as often as daily. Originally, Wadid was expected to take on the support role in the upcoming Ultraliga league for Rogue Esports club alongside Korean duo partner Profit, but it appears teams in the Polish league are required to have at least three Poles on their rosters. This means, instead of Wadid, Rogue has signed new support Oskar “Raxxo” Bazydło. He previously played for Greek team Panathinaikos AC and showed a promising performance at EU Masters 2018 Summer. 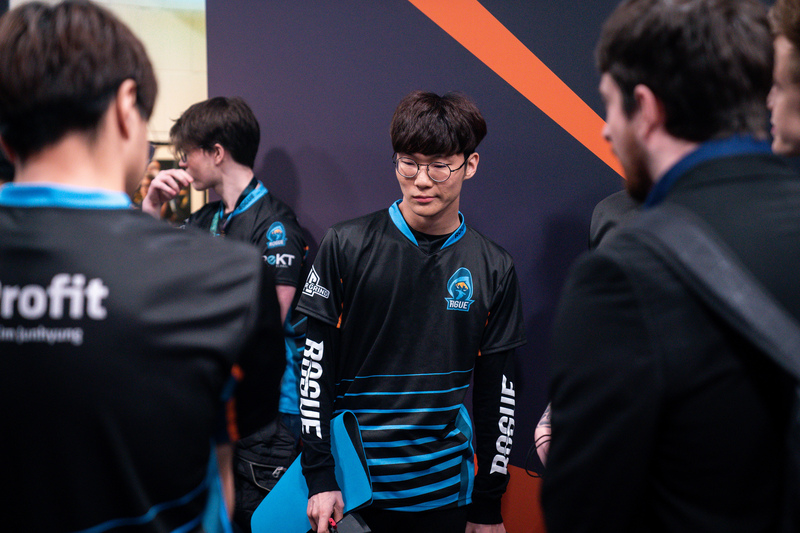 Rogue will test out their new roster this Friday at 2pm CT against rival team FC Schalke 04, where they will look to secure their first win of the Spring Split.